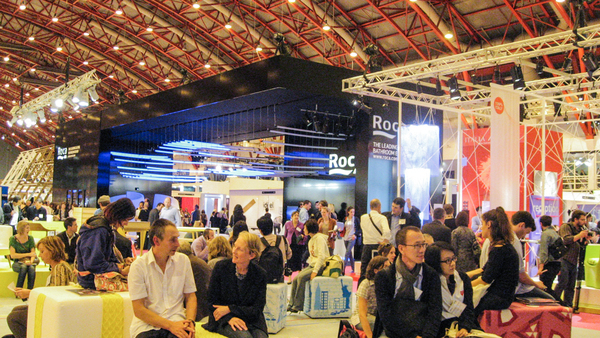 Make 2016 the year to visit a trade show to keep up with the latest going on in your industry. Hospitality, Beauty, Transport, Building, Medical, Fitness, Fashion, Leisure.. the list goes on..
1. You'll see what the latest is in Commercial Fitout. How up to date is your salon looking? Is your café or medical practice looking sharp? A trade fair usually will have on display, "pop ups" showcasing the latest ideas and looks in layout and decorative finishes. There's heaps of ideas about what materials to use, how to get best of looks. New Colours, Furnishings, Lighting, Flooring, Tiles...whatever the finishes are, you'll get to know about them. Commercial Fitout needs a refresh every few years, so keeping up with what is new is a great asset. 2. You'll see the latest in new products to take to market. Trade Fairs are a typical platform for producers to show their wares, usually the very best and latest of what they have. There's a great chance to discuss the ins and outs of a new product with the manufacturer or supplier things like pricing, product back up, stock levels and so on. From there, arrangements can be formalised to take it on. 3. You'll see the latest in equipment. New equipment, machinery, software systems, point of sale devices all are displayed at a Trade Fair. When you're in the market for a new x-ray unit, hair washing basin, massage table, or salamander, you'll probably find it. The chance to discuss equipment operation, pricing, reliability, service and to assess the competition in the one place at the one time is super valuable. 4. You'll witness new ideas and directions in marketing. Whether market conditions are easy or tough, every business needs new ways of selling goods or services. Trade exhibitions are great for allowing you to look across your industry, see what's going on, what 's coming up, weigh up the competition, identify new ways of doing things and initiate a way forward. 5. You'll usually get a chance to Network with other business owners in your field. Social events for sharing ideas, discussing problems, listening to the experts are usually part of the Trade Fair. Bringing industry players together is stimulating and refreshing. Make sure you attend an event like these to be part of a fresh learning process. Many joint ventures have arisen from these events. It's early in the year. Get the calendar out and save the date of your industry trade fair now!